Mobile carrier Vodafone UK will begin selling the Apple iPhone on January 14, making it the third carrier out of the big five to offer the device. The cheapest monthly tariff Vodafone will be offering is £30 per month on a 24 month contract, with the 3G 8GB device costing £59, 3GS 16GB costing £149, and the 3GS 32GB costing £239. 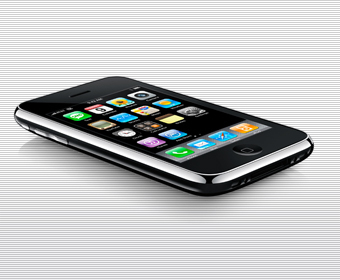 The 3GS will be available for free as a 16GB model on an 18 month tariff at £45 per month and on a 24 month tariff at £50 per month. The 32GB model is available for free on a 24 month tariff at £80 per month. Like Orange, Vodafone will be limiting users’ cellular data allowance, this time to 1GB per month, which the company reckons is more than enough. Tethering options are available at £5 for 500MB, £10 for 1.5GB or £15 for 3GB.